Dr. Kavitha C.Vinod, a young practitioner and Chemist in Indo German Homoeopathic Clinical Research Laboratory, Bangalore has very good experience in plant identification and vast knowledge in preparation of medicines. She had presented worthy articles to Homoeopathic fraternity. She has established a reputed name among the public serving with her father Dr.Chandrasekar, the eminent physician at Bangalore. She also renders her service as a part time lecturer in Government Homoeopathic Medical College, Bangalore. “Arnica is the Traumatic remedy par excellence,” says J.H.Clarke. We cannot think of trauma without Arnica. It is today a part of every first aid Homoeopathic kit. It was first brought to use in the beginning of the last century by a German Physician – Fehr..as a panacea for contusions and bruises. Hence it obtained the name “Panacea Lapsorum”. Dr.Collin of Vienna used it to save hundreds of patients from jaws of death using it in intermittent/putrid fevers – using its use as antiseptic and tonic qualities. Also cured malignant dysentery in 1971-74. Since then various doctors all over use it widely for variety of purposes. Dr. Hahnemann in his Materia Medica Pura describes Arnica not equivalent to any remedy for general affections which results from falls, shocks, blows, contusions from twisting or tearing the solid parts of the human frame. Arnica, bearing the common name Leopard’s Bane,which belong to the composite family ,is a perinnial herb with a creeping, slender, blackish rhizome 2-5 cm long and 5mm in thickness, stem is 25-30cms height, leaves 10-20cms long few sessile opposite, crowded at base. It flowers from July to August and are bright yellow and the colour deepens as they fade. The plant as a whole has an apple like odour and a bitter acrid taste. 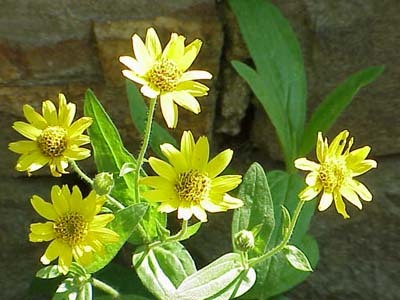 There are 12 different species of Arnica. Habitat; found in moist meadows of Europe, extends from Russia to Siberia and sparse in US. The whole plant can be used for the preparation of mother tincture. Arnica contains an alkaloid called Arnicin and a starchy substance, a volatile oil Tanin & Inulin. Arnica affects the walls of the blood vessels particularly capillaries, so that dilation of the small vessels and extravasation of blood becomes possible. This weakening of capillary walls admits extravasation of blood…. this explains the applicability of Arnica to Trauma. It produces Ecchymosis like condition on the muscular, cellular, serous tissues and tendons. On motor nerves it produces spinal irritation and GIT- Inflammation in the digestive tract. Applicable both in acute and chronic effects of trauma. Acute – cuts, torn wounds, simple bruises with well-marked ecchymosis, concussions of brain/spine or both. Even compression of brain. Muscle injures – strain/sprain, sudden wrench, due to heavy lifting, haemorrhages of mechanical origin, luxations and fracture of bones, both externally and internally relieves the swelling and tumefaction of the limb. Relieves twitching of muscles which is a reflex symptom of fracture. Syncope, tetanus, paralysis, pneumonia or hepatitis which come as immediate consequence of injuries. Used internally just after delivery to remove the soreness, bruised condition of the private parts. constant, dribbling of urine after labour. Also used for shock & degeneration after trauma. Chronic effects of injury no matter where the disease may be whether of brain, eyes, lungs, nerves… if injury is the exciting cause. After laborious work where the muscular tissue is sore/bruised as if pounded. Heavy work leading to hypertrophy of the heart. Neuralgia, partial emaciation, intermittent fevers, encysted tumours, which result from remote consequence of injury, fistula formation after fractures. Boils, phlegmonous erysipelas, deep burns. Frequently cures boils and acne independent of traumatic cause. Suited to sanguine, plethoric person with lively complexion, disposed to cerebral congestion. Sore, lame bruised feeling all through the body, as if beaten. Retention of urine, during Dysentery. Tumour after fall – including scirrhous tumour of breast. Bad effects from mechanical injuries, falls, bruises and contusions. Mechanical injuries with stupour, from concussion, involuntary faeces and urine. Compound fractures and their profuse suppuration. Everything on which he lies seems too hard. Complains constantly, keeps moving from place to place in search of a softer spot. Unconsciousness when spoken to, answers correctly but unconsciousness and delirium at once return. Hydrocephalus: deathly coldness in forearm of children. Says he is well, when very sick. Head alone hot, face hot rest of the body cold. Extravasation of blood into conjunctiva after whooping cough. Feeling as if stomach were passing against spine. Violent spasmodic cough with facial herpes. Ailments from spiritous liquors, charcoal vapors. A case of varicose ulcer in a man aged 55 years of age, chronic, non-healing ulcers, 3 in number, since 6 months. It was very painful, sore to touch, fears being approached. Ulcer started after a fall at that point and then got enlarged. Part looked blue and cchymosed…Arnica 30 twice a day. Daily dressing with the wound with Arnica Q (external) completely healed the ulcers in 25 days. A case of 50 year old man with recurrent boils on the body since 2 years, painful, big boils which forms pustules with soreness of the part, more on lower limbs was cured by Arnica 1M weekly one dose for one month. Arnica found very good for external dressing in case of wounds, ulcers, and bedsores. I found Arnica Q internal very effective in many cases of hair fall/Alopecia, 10 drops twice a day. Clinically Arnica has been successfully employed in many cases of rheumatic arthritis internally. choice of potency depends on the case. A case of 35 year old lady with pain in right knee since 3 months < walking with history fracture 10 years back Arnica 200 twice a day for a month. Pain considerably reduced 70% on the 2nd follow up still under treatment. Also found it effective in insect bites along with Ledum Pal. Arnica is one of the miraculous remedy in our system which can be used both externally and internally in almost all traumatic cases. Can be used in every home in day to day life. It is Hahnemann greatest masterpiece which covers all the 3 miasms- Psora, Sycosis and Syphitis. Homoeopathic Pharmacopoeia of India-1971-First Volume, First Edition. Lectures of Homoeopathic Materia Medica-J.T.Kent.. Dictionary of Practical Materia Medica-J.H.Clarke.